Game Insight, a leading global game developer, has announced that The Tribez, an adventure and city building strategy hit, has now become available for Windows Phone. The Tribez transports players to a distant past full of secrets and mysteries where they get entrusted with the power of a chief in a primitive realm inhabited by peace-loving tribes. Players will start off owning a stone-age village and progress from primitive mud huts to advanced workshops, bakeries, and laboratories. Develop the country’s economy, discover new lands, populate them with tribesmen, and tame dinosaurs! 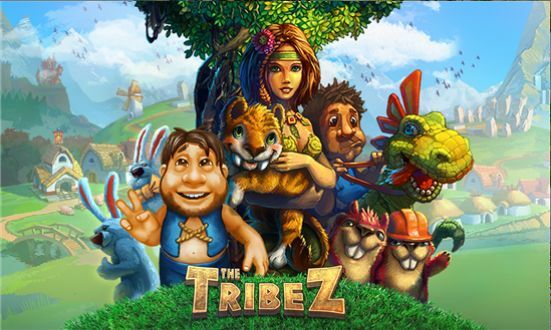 The Tribez features hilarious, memorable characters and hundreds of exciting quests, including treasure hunts and artifact searches, discovery of distant lands and continents, exploration of prehistoric caves, and much more. Take advantage of countless opportunities to grow a powerful stone-age empire! The fans of city building strategies will enjoy The Tribez‘ vibrant detailed graphics and charming animation. The Tribez has been previously released for iPhone, iPod Touch, iPad, Google Play and Facebook, and enjoys a player base of more than 20 million gamers around the world. A long-awaited update has finally come to Gloria Victis in the form of adding playable female characters!